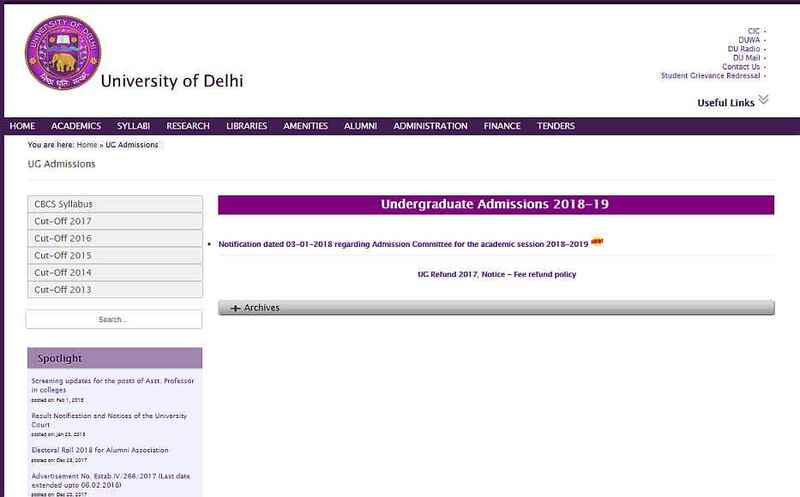 Can you tell me where on the official website of University of Delhi will I get online Application Form for admission 2018 in B Com program? University of Delhi offers admission into Undergraduate, Postgraduate & Ph. D programmes. DU admission into UG courses will be based on entrance exam & merit based. Those candidates seek admission into PG courses have to appear for the entrance exam.